DMBS 51346 seen heavily stripped outside Eastleigh Works. Class 117 was built by Pressed Steel at Linwood (near Paisley). 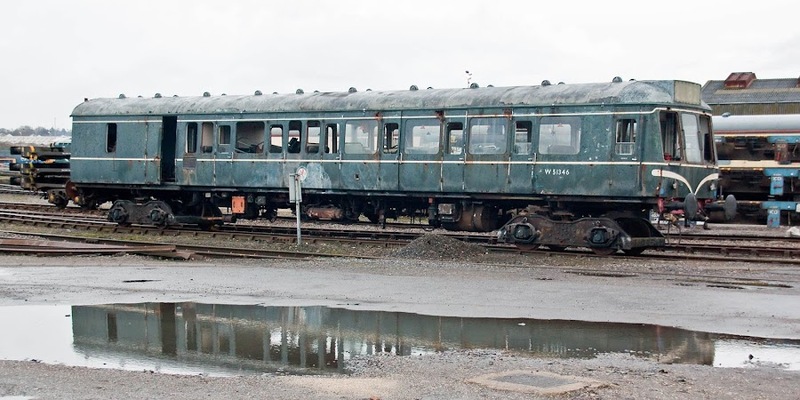 51346 was new in May 1960 to Lot 30546, was refurbished with added gangways in April 1980, and was withdrawn in July 1993, having run as part of unit L411 from Reading. From about March 1994, the unit went to the North Norfolk Railway, then to Swanage from June 2003.